The A4, sold in sedan and station wagon body styles, is the most successful Audi ever, with sales topping 6 million units in a production run spanning two decades, right from the first A4 sedan rolled out from Audi’s Ingolstadt factory. Four generations of the A4 have passed and the time is ripe for the fifth generation model, which has just been officially confirmed by Audi for a 2015 launch. The 5th generation Audi A4 sedan and stationwagon variants – codenamed the B9 – will be based on the 2nd generation MLB (modular longitudinal)platform and will use a mix of steel, aluminium and composites to shave off weight by nearly a 100 kilograms. Now, weight saving is something that the Audi A4’s segment is using on a wide scale, what with the W205 Mercedes Benz C-Class going on an aluminium-steel hybrid diet and the upcoming 2016 Jaguar XE taking an all-aluminium approach with the iQ[AL] platform. The saved weight should give the 2015 Audi A4 sedan better performance and fuel efficiency, and lower tail pipe emissions. The additional torsional rigidity of the lighter, stiffer monocoque could make the 2015 Audi A4 more dynamically accomplished than its predecessor. In terms of design, the 2015 A4 will be sharper than before with LED headlamps up front. The car’s lines with ditch curves for creases to make for a more Teutonic looking sedan. 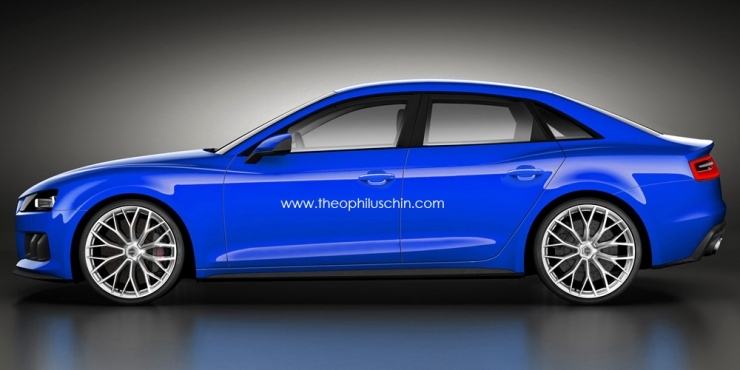 Dimensions wise, the 2015 Audi A4 sedan is touted to get wider, with both front and rear wheel tracks increased. However, the overall length of the new car is expected to be similar to that of the outgoing version. The car will use an all-turbo petrol and diesel engine line up while plug-in hybrid and CNG powered models also being a part of the powertrain mix. 6 speed manual and 7 speed twin clutch automatic transmissions are expected to be retained on the petrol, CNG and diesel powered A4s with the hybrid model making use of a e-Quattro system to seamlessly toggle between the engine driven front and electric motor driven rear wheels. 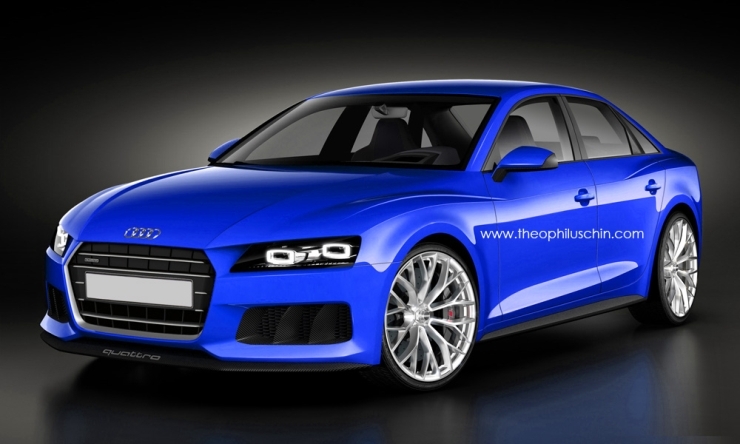 While a front wheel drive layout will be standard, more powerful variants will get the Quattro all wheel drive layout. In India, Audi sells the 4th and current generation of the A4 sedan with four engine options – 1.8 liter and 3.0 liter TFSI turbo petrol engines, and 2.0 liter and 3.0 liter TDI turbo diesel engines. Automatic gearbox options are offered as standard fare on all engines. A similar engine and transmission layout is likely for the 2015, 5th generation A4. In terms of pricing, the next generation Audi A4 is likely to move slightly higher in order to avoid the existing overlap between the recently launched A3 sedan. 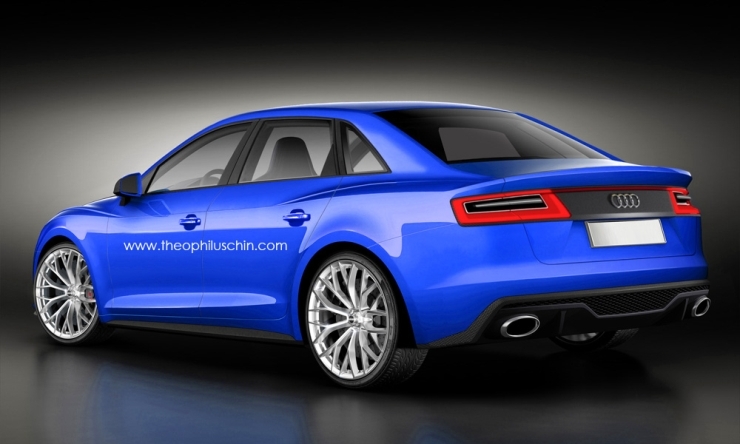 The 2015 Audi A4 sedan, like the current version, will be assembled from CKD kits at Audi’s Aurangabad assembly unit.